B.C. resident Frances Greenslade holds an M.F.A. in creative writing from the University of British Columbia. 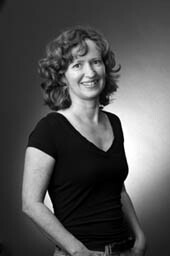 Her critically-acclaimed first book, A Pilgrim in Ireland, was awarded the 2003 Saskatchewan Book Award for non-fiction. Her work has also appeared in Grain, NeWest Review, and Room of One’s Own. Shortly after her son was born, Francie Greenslade nearly died. In order to save her, a hysterectomy was performed, leaving her unable to bear more children. She thought she was alone in her traumatic experience of new motherhood, but soon found out how common — and unspoken — it was. In By the Secret Ladder, Francie Greenslade dares to talk about experiences most women fear they must repress, in favour of a rosy portrait of life after birth. In classical myth, the quest sees an average person transformed by hardship and challenge into something new: a hero. By the Secret Ladder reveals that the same is true of motherhood. Frances Greenslade illuminates the trauma, fear, and pain that all new mothers work through in the process of becoming something greater. 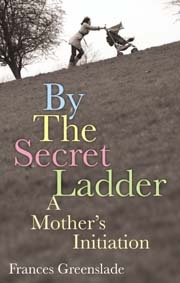 Weaving personal experiences with fragments of myth, poetry, and history, By the Secret Ladder reveals, with unflinching honesty, how a woman changes in the process of becoming a mother. As we follow Greenslade’s quest, we learn what it means to feel your body alter permanently; what it feels like to watch your baby helpless in the hospital; what it means to learn that your first child will also be your last; and, most importantly, what it feels like to love someone with an intensity that you never knew was possible.